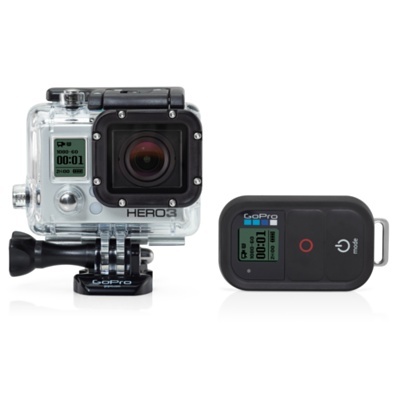 Apple has dropped the price on its GoPro HD HERO 3 video camera (Black Edition) to $329.95. When you compare this to Future Shop and Best Buy, which sells it at $449.99, that’s savings of $120. Amazon.ca sells it for $415, while Amazon.com for $399. If you can get a better deal than Amazon.com, then you’re winning in my books. Some RFD forum members were able to successfully price match it at Future Shop and Best Buy to bring the price down to $317.95, which is quite the deal for this waterproof HD camera. However, since Apple’s availability is 1-2 months, YMMV (your mileage may vary) on the price match. Let us know if you’re going to jump on this!